Nantwich Chiropractic Clinic offers our patient form(s) online so they can be completed in the convenience of your own home or office. 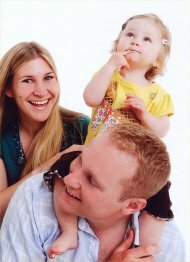 Dr Steven and Dr Xanthe Lawrence are chiropractors serving Nantwich, Shrewsbury, Stone, Trentham, Staffordshire and the surrounding areas. 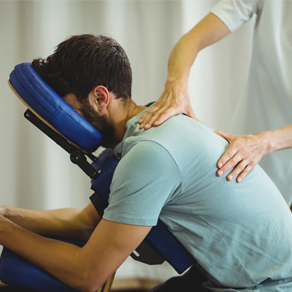 Whether you need an injury or accident treated, have a specific body problem (such as back pain or a spinal condition), need pain relief, or just want to improve your overall health, our clinics in Nantwich, Shrewsbury and Stone (Staffordshire) may have a solution for you through chiropractic care. Click here to visit our testimonials page to see how patients have benefited from seeing the Nantwich, Shrewsbury and Stafford chiropractors and getting regular chiropractic adjustments. At your first visit to our clinics in Nantwich, Shrewsbury and Stone, we will explain to you how chiropractic works, and give you a full evaluation to see if chiropractic care is right for you. If there is a good fit, we can develop a plan of chiropractic care that is specific to your condition and health goals. As well as correcting any functional issues, we look at improving your health through advice on nutrition and exercise to keep you and your family healthy for life. If you are new to chiropractic and want to find out more, we offer complimentary Spinal Health Checks for all of the family at all of our clinics. You are more than welcome to call Nantwich 01270 610640, Shrewsbury 01743 885224 or Stone 01785 748677 and speak to us directly. We also welcome referrals, so feel free to use the "send to friend" link to share our health information with your friends and loved ones. My parents used to see a chiropractor when I was young but it wasn't until I suffered quite a bad fall whilst on a dry ski slope that I had my first adjustment. I could not believe the difference that it made. Since then in my early teens, I knew that I wanted to be a chiropractor. After studying for my degree at the Welsh Institute of Chiropractic in Glamorgan I graduated in 2002 with a BSc (Hons) degree in Chiropractic. It was whilst at university that I met my husband Steve. After graduation we both started work at Nantwich Chiropractic Clinic in Cheshire where I worked towards my Diploma of Chiropractic (DC). Julie was born in Poole, Dorset and grew up in its neighbouring town of Bournemouth. She spent much of her early childhood travelling to and from Norway, where her Mother is native to, but was eventually schooled in Bournemouth where she also met her husband Brian. Whilst at school Julie was also heavily involved in competitive gymnastics and was first exposed to Chiropractic after an injury to her back during training. Tony grew up in Barry, South Wales. He began his career as a Pharmacist, but very early on became interested in alternative medicine. After completing a licentiate diploma in acupuncture and traditional Chinese medicine in 2006 he went to China to learn more about the culture and to gain further hands-on experience in acupuncture and related techniques. As an international Ironman triathlete I need a lot of physical therapy support! I can genuinely say that chiropractic has made me well, kept me fit and sped my recovery from any irritable injury. If you are interested in your holistic health for sport or life in general then I don't hesitate to recommend Nantwich Chiropractic Clinic. Very pleased about the care my family and I receive at Lawrence Chiropractic Clinic. We all attend a few times throughout the year for a check-up. Their spinal adjustments keep us mobile and their advice on exercise and nutrition has been superb, our energy levels are now fantastic and we no longer suffer from regular colds through the winter months. I started bringing my 5-year-old daughter to the practice over 2 years ago with sleeping problems and a chronic cough. Dr. Steve has been incredibly patient with her and made the consultation as fun as possible. We have received excellent nutritional advice that our family has been able to use to improve our wellbeing as a whole. Like most working men who do heavy lifting have a history of back problems which from time to time seem to flare up. Dr Steve my chiropractor has always been able to correct my ailments and keep me free from pain. As my grandchildren grew up and started taking an interest in sports, gymnastics and football inevitably they both sustained what would be described as minor injuries including bone displacements in feet and strained muscles. Dr. Steve has always managed to get them fit again for the next important match. I wholeheartedly can recommend Dr. Steve's treatments for all types of injuries.